For six years Anuradha Kapur was at the helm of the National School of Drama in Delhi and she was instrumental in putting together the foundation for NSD Bangalore. She now focuses on the one thing that drives her the most – directing plays. She is the author of Actors, Pilgrims, Kings and Gods: The Ramlila of Ramnagar. Most of Anuradha’s directorial work has been in collaboration with visual and video artists and filmmakers, including Arpita Singh, Bhupen Khakhar, Ein Lall, Madhusree Dutta, Nalini Malani, Nilima Sheikh, Sumant Jayakrishnan, and Vivan Sundaram. She is one of the founder members of Vivadi, a working group of painters, musicians, writers and theatre practitioners, formed in 1989. Her theatre work has travelled to countries including Germany, Japan, Brazil, UK, and Korea. In 2004, Anuradha was awarded the Sangeet Natak Award for Direction in the Theatre. 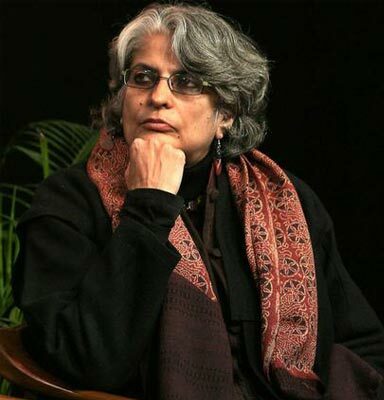 Among her acclaimed productions are Rabindranath Tagore’s Ghar aur Bahar, Umrao, Romeo and Juliet, The Job, Sundari: an Actor Prepares, a play based on the life of Jaishankar Sundari, Henrik Ibsen’s The Wild Duck in collaboration with Ein Lall; a Hindi version of JB Priestley’s An Inspector Calls and many others.